State-actors were likely behind Singapore's biggest ever cyberattack to date, security experts say, citing the scale and sophistication of the hack which hit medical data of about a quarter of the population. 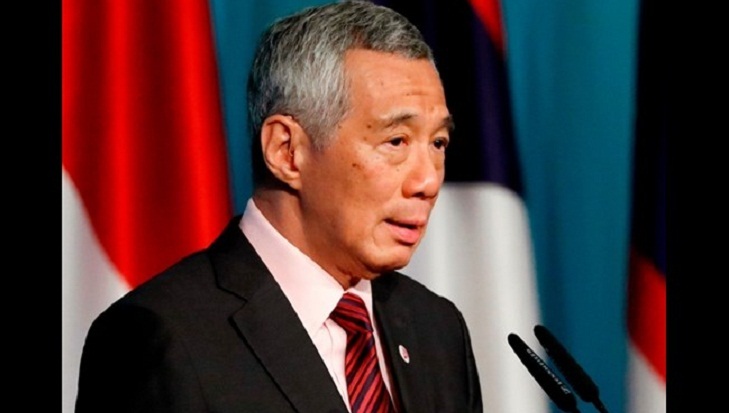 The city-state announced Friday that hackers had broken into a government database and stolen the health records of 1.5 million Singaporeans, including Prime Minister Lee Hsien Loong who was specifically targeted in the "unprecedented" attack. Singapore's health minister said the strike was "a deliberate, targeted, and well-planned cyberattack and not the work of casual hackers or criminal gangs". While officials refused to comment on the identity of the hackers citing "operational security", experts told AFP that the complexity of the attack and its focus on high-profile targets like the prime minister pointed to the hand of a state-actor. "A cyber espionage threat actor could leverage disclosure of sensitive health information... to coerce an individual in (a) position of interest to conduct espionage" on its behalf, said Eric Hoh, Asia-Pacific president of cybersecurity firm FireEye. Hoh told national broadcaster Channel NewsAsia that the attack was an "advanced persistent threat". "The nature of such attacks are that they are conducted by nation states using very advanced tools," he said. "They tend to be well resourced, well-funded and highly sophisticated." Russia -- which is accused of meddling in the US presidential election -- China, Iran and North Korea are believed to have the capability to carry out such attacks. The attack started two weeks after the wealthy city-state hosted the historic summit between US President Donald Trump and North Korean leader Kim Jong Un. "A lot of information about a person's health can be gleaned from the medications that they take," Middleton told AFP Saturday. "Any non-public health information could be used for extortion. Russian spy services have a long history of doing this." Medical information, like personal data, can also be easily monetised on criminal forums, said Sanjay Aurora, Asia-Pacific managing director of Darktrace. "Beyond making a quick buck, a more sinister reason to attack would be to cause widespread disruption and systemic damage to the healthcare service -- as a fundamental part of critical infrastructure -- or to undermine trust in a nation's competency to keep personal data safe," he told AFP. Today, cybercriminals are targeting more than just individuals or banks, said Shahnawaz Backer, regional security specialist at F5 Networks. "Government services, from healthcare to education, are targets that are just as likely, as evidenced by the recent attacks in Singapore," Backer said. "As Singapore embraces the digital revolution, security breaches are bound to happen. Our growing digital footprint is growing every day, and enterprises need to take strict measures to safeguard and protect their data." Wealthy Singapore is hyper-connected and on a drive to digitise government records and essential services, including medical records which public hospitals and clinics can share via a centralised database. But authorities have put the brakes on these plans while they investigate the breach. A former judge will head an inquiry looking into the hack. "With regard to the prime minister's data and why he was targeted, I would say that it's perhaps best not to speculate what the attacker had in mind," said David Koh, head of Singapore's Cyber Security Agency. The hackers used a computer infected with malware to gain access to the database between June 27 and July 4 before administrators spotted "unusual activity", authorities said. The government says it fends off thousands of cyberattacks every day and has long warned of breaches by actors as varied as high-school students in their bedrooms to nation-states. Earlier this month, US intelligence chief Dan Coats described Russia, China, Iran and North Korea as the "worst offenders" when it came to attacks on American "digital infrastructure".